A POLISHED CHROME METAL GOLF CLUB SHAPED KEY CHAIN. 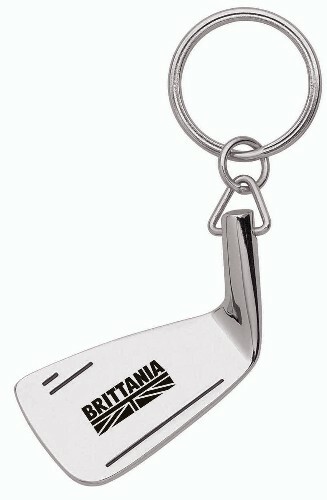 A POLISHED CHROME METAL GOLF CLUB/WEDGE SHAPED KEY CHAIN. CONVENIENTLY YOU CAN CARRY IN YOUR POCKET OR STORE IN YOUR GOLF BAG.